SIM lock refer to a PIN code lock. 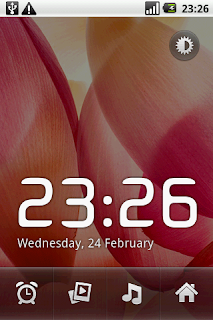 Just remove ur battry from phone for a while, reinsert, put ur mobile in Download mode and flash with earlier firmware. 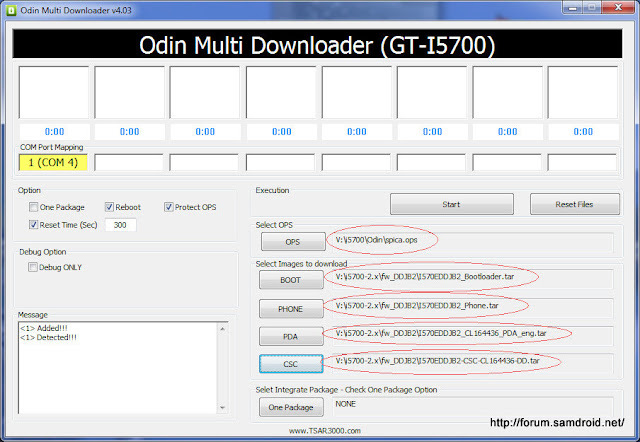 Plug in your mobile to PC when u selected all files in ODIN. It should appear in ODIN as COM5 or so.. dont bother its getting appear in windows!!!. Dont use Samdroid kitchen its not ment to work with I570EXXJE1!! hi frns! Plz update or mail me, frm where to download I570EDDJB2 or I570XXJCE.tar. As i have all the application except this tar file to load my fone with android 2.1- Emai: nawazahmedn@gmail.com. Hi, thanks for this guide, it took a while but it worked! however i now dont have the appmarket, aby idea how to get this back? I just finished upgrading to the latest Indian firmware i570EDDJC5. The only change I notice is that the QWERTY keyboard is a little fast and has better response when compared to my previous firmware i570EXXJD1. 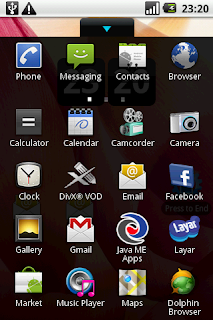 And the disappointing thing is that DDJC5 too does not support live wallpaper. Can someone help me out too enable live wallpaper, please? I have gone through the forum comments section and found an article about this by Riyaz but it did not work out for me. Probably cause of the firmware difference. I would really appreciate if any can post the actual steps with links to required software. 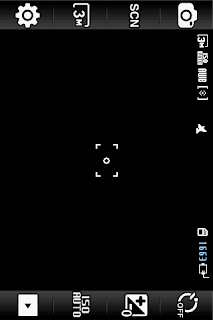 PS - I have gone through samdroid rooting and live wallpaper post but could not understand the instructions. Use the following link to download latest samsung firmware for all region. Which firmware u are trying to upgrade? 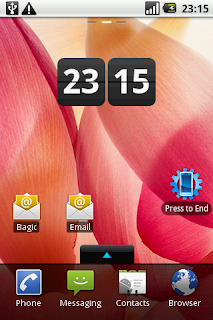 Non of the samsung firmware upgrade comes with Live WallPaper as default!! You will have to do rooting and then install LiveWallPaperPicker.apk to make it working. 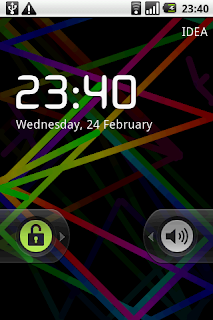 The guideline which I have posted for live wall paper without rooting worked on my mobile very well. 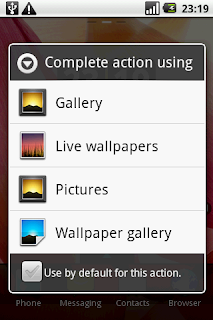 Use the guide from below link to bring livewallpaper working on your mobile. To get this thing working you should have little bit of programming knowledge to understand commands written. Still this guide is simple to get it working. Thanks for the reply. I tried the command adb shell mount -o remount,rw,codepage=utf8,vfat,xattr,check=no /dev/stl5 /system but its failing with error mount: Operation not permitted . Below is the output of the mount command. Which firmware u r currently on? Have u downloaded Android SDK? and have u given path in My Computer properties as described in the guide?? 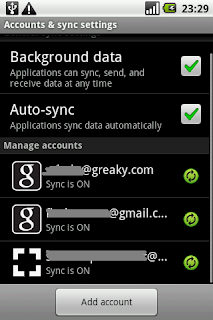 It looks ur command is not complete, just copy and paste following commands when u get access to your mobile in SDK. If your path is correct all commands work fine, I just copied and pasted all commands instead typing each of them saperately and in just 5 to 10 seconds I finished with rooting, then I installed LiveWallPapers.apk and all live wall paper worked on my mobile. I tried flashing the spica with the new eclair OS but i guess i did not install the drivers.. my bad.. but i had checked the device manager and it did show up under modems and USB, although it didnt exactly as your's did... and when the phone restarted it was looking for drivers for 'Samsung_Android' for which i tried to direct it to the three drivers provided by you on the link, but it didnt help.. now my phone is hung and shows Samsung with the loading bar complete, but does not go further.. i cant hard reset or even go to the download mode... PLEASE HELP URGENTLY!!! 1. I am unable to add favourites from my contact list. I select the 'star' next to a contact but that does not help. 2. When I search my contact list it displays results from my email contact list too.. for example if I type 'ha' it will show me phone contacts with 'ha' and also email addresses with 'ha'.. which is quite frustrating..
FYI I have installed Launcher Pro Beta.. I hv Samsung Galaxy Spica and I want to flash it to 2.1 version but before flashing I want to take backup of contacts.How to take backup of contacts, they r stored in the internal memory and by connecting it with pc suite .i'm not able to access int. memory. I hv around 1300 contacts. Pls help. Download WaveSecure from the android market or by visiting wavesecure.com. You can backup contacts, sms and data. @ Harsh - once you have "Starred" the contacts .. you can create a widget on one of your screens by selecting "Folders">"Starred Contact"
search - thats the way it works ..
@ Parth - just sync with your google account and you have a backup of your contacts. Thanks for the reply. However I'd like to clarify that the problem is that I am unable to add more contacts to the favourites! So even though I can create a widget as you said, it still does not have the contacts I wish to be there. I believe what's happened is that I have (unintentionally and unknowingly) added my gmail account to the contacts and if I select an 'email id' from the list it will allow me to add it to favourites, but if I click on star next to a 'phone contact' it refuses to add it..
Can someone plz help me immediatly. In the Odin multi downloader software, after i pressed start the download has got stuck with the message setup connection & its been 15 mins i am waiting, but its still not downloading. If Odin stopped at Setup Connection means it did not found your mobile on serial connection. You should see mobile as Serial connection in Odin as Com 5 or 6 or any number, once it appears in Odin it will load software. i am very much worried... cant save APN settings on 2.1, all reset all setting i thought it might work but it didnt... plz help what should i do? I dunno if anyone has asked you this, but how long does it take to flash? Finally managed to get Live wallpaper running on my Spica. The steps given by Riyaz did not work for me though as i think the firmware was different. I followed the instruction on http://www.addictivetips.com/mobile/root-samsung-galaxy-spica-i5700-with-leshaks-kernel/ and it worked like piece of cake. After this I even managed to get the newer MOD on to my phone. I now have rooting, app2sd, custom boot logo and animation, new kernel, @315x315 contacts, live wallpaper and many more exiting features. Thanks to LeshaK's Kitchen where you can cook all you need for your Spica. All credits to him and others. Good to know u manage to get all features you mentioned in post, just wanted to know which firmware did u upgraded ?? DDJCB, DDJC2 or DDJC4?? I tried once with Lashkesh mod but it didnt worked for me and my mobile kept on rebooting, so I had to revert back to DDJCB. Just follow guide from Sameer, it contains all files required to upgrade from 1.5 to 2.1.
sameer has used I5700EDDJB2 to upgrade to 2.1, will this I5700EDDJB2 support my device as i bought it from jeddah and has i5700JXIL3. Am even fed up of this default Arabic language whenever i reset my fone. I used the latest Europe firmware. Sorry don’t remember the version but you can have any of the v2.1 above JC3. Follow the instruction from the previous link as the first step. The first boot is very very slow. If you get a blank screen after like 15-20 min, go to ROM recovery mode (Vol down, Call and End keys pressed) and wipe cache and data. This will delete all your setting and push the device to factory but with features of the MOD'd firmware. Reboot the device using the onscreen option. This should bring your device to the home screen. Oh! forgot to mention, backup your setting and data on phone and SD card just to be safe. Then, cook the MOD with required apps from http://forum.samdroid.net/f28/samdroidmod-kitchen-v1-x-x-all-one-en-939/. You would need to register to download. Place the zip on SD card, reboot to recovery and apply the zip. If you face any problems, samdroid forums should be able to help you. They have solutions to all possible issues. I had few problems myself but managed to solve by some R&D. I am on T-mobile in Uk, since upgrading I cannot get HSDPA, I get 3g fine but No H on the notification bar, I know I am in a HSDPA area as my old HTC diamond gets it....I am stumped??? Hi Sameer, thanks it worked well, been trying for quite some time. Additional point that may be useful for others. - connect the usb cable after starting the ODIN, to ensure that you dont struck up at "setup connection"
Since most of the new firmware's available are only single files can I use older firmware's Bootloader, CSC and PDA? The zip file has only 1 tar file. None of the CSC, PDA, BOOT, PHONE files you have specified. How do I go about it?? # Click Start to start flashing. The timer and progress bar above COM Port Mapping field should start . If the progress bar doesn’t start but the timer continue to run , close Odin and disconnect the phone from PC. Remove and insert the battery and start the phone in download mode again, then run Odin. # Wait until PASS message appear in Message box and the progress bar box turns into blue. # At this step, you may get the flashing seems to be failed, and you’ll see exclamation mark appears like image shown below. Don’t worry, this is not the end of your spica, close the Odin and disconnect the phone from PC. thanks a lot for sharing your skills because where I live (Guatemala) nobody knows how update the OS and now I can use all the functions of my phone including PC sync and bluetooth file transfer and much more !! I have only a minor issue: I can't see any of my phonebook contacts but when I search them they appears magically. I also tried to erase and reload the contact list from the sim card but with no result. hey..i want to buy this phone...and flash it to 2.1 but the problem is this phone is out of stock almost everywhere in mumbai..i checked at many many many shops..everyone says its out of stock...plz can somebody tell me a place where this particular model is available and at what price coz i m little tight on budget. All you a**holes (with me included) who can't install CSC you forgot to download spica_jc3.ops file. The one in Odin package is not the same. Did everyone get live wallpapers on ? i had installed EDDJB2 and now on EDDJC5. But not able to see live wallpapers on either. any tweak to be done to get it ? You need to have rooting in your mobile first then install LiveWallPapers.apk. you will get live wall paper.. google for .apk you will get links to download. or check my previous posts you will get. Thanks for the info, I will look out for it. no news about Galaxy Spica in the upgrade list. I couldn't flash my i5700 from my Vista OS. But shifted the same set of files to an XP machine, it went well. The device drivers showed when the phone is connected normally. The moment you put it in the Download Mode, the device divers disappear leaving only an "Unknown Device" in the USB listing. This could be the hurdle on Vista. But on XP all worked like a charm! I tried the Rogers in Canada firmware, it is specifically for T1 mobile users, not meant for Euro or Asia or any other. frns give me a link to download xls viewer for i5700. Hi Sameer,first of all thank you for such a nice post. I did followed your post and was been able to upgrade my spica to android 2.1 but it was neither allowing me to make a call or access the net. So I did some searching and found that i need to upgrade to I570EDDJC5. I did the upgrade. Now my mobile is accessing the net but still I cannot make/receive a call or send/recive a sms from it. When I did the first flushing (using the firmware in the link of your mobile) I checked all the 4 checkboxes which appears when you click on the debug only option. Next when I did upgrade to the firmware mentioned above I did only checked the debug only option and nothing else. Also when i checked the mobile status. It is not showing the IMEI number in it. Could this be the issue? I, like many have used the versions provided here to update early. Now that I am trying to update to the legit version, I am running into some troubles. When I connect to kies, it recognizes my phone as GT-i5700 and Firmware version of "Unregistered device". I am supposed to start the process by clicking on the PHONE UPGRADE button, however it is greyed out. If anyone else has run into this, please let me know what will get around this so I can enjoy 2.1 again. 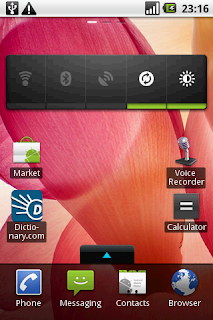 If Android Froyo can be installed on a iPhone y can't it be installed on the samsung device itself. Froyo has hit the market & Spica is nowhere sensing the upgrade. check this link with simple & easy steps to install froyo on iphone. Y it re boot itself while using browser.n how 2 install flash player for android 2.1? can u please help me n tell me the exact process of deploying on Spica? I'm new with this things and need some help. How to install frickin' modem???? I downloaded all links and I'm supposing that files from folder "i386" needs to be copied somewhere... but where??? Tnx in advance for help. Hi, I wanna ask something..
My Spica is still pure, DXJC2 (eclair already). Is it ok to flash the Asia firmware JG3 (July 2010 if I'm not mistake)? or I must flash the firmware you said above? how long does the whole donwload process take. and does the update meter fill it self? my meter does not fill anythig in about 15 minutes. i pulled the cable off to try agian. i've a dutch i5700 do i check or un-check the CSC file? languages does not matter for me if it includes atleast english. how long does the whole update process take? i've the phone on for 15 minutes nothing happens only the timer runs. no meter si filling up. i've tried whit and whitout csc file. "Choose app:no application can perform this action"
i reset the device but still the same error!! Please help i am getting this error when i try to install any thried party app. i reset the device and also checked unknown sources in the applications settings. Been like this for 15 mins, what should i do? 2. connect to usb and check device manager if drivers are properly installed as in the article. 3. disconnect usb from phone. 4. start Odin, setup files to be flashed with. 5. connect usb to mobile. some times it doesn't happen on the first go. Try atleast 5 times before giving up or googling for more solutions. I got the same as finalmoksha. cache.rfs error. When I omitted the CSC file the flash went well. Looks cool a little bit sluggish I would say though. great work dude, just if you update guide with new files maybe helpful for lot of newcomers. Anyway this guide isone of best one out there. HI there.. I did update to 2.1.. thnx for the tutorial... the problem is there is no more space inside the phone. a bit slow the phone and can't download anything from the market.. how to make the download item go in the external card..
Will my phone be able to get fashed by your explained procedure? Plus i bought this phone in saudi arabia, could there be a chance of any region wise problem in flashing or something else? I used this tutorial to flash my I5700, but failed. Now at srartup it shows a 3 images mobile, warning ad a pc. Plze, Help me out of this. Which firmware u upgraded ? which options u choosed ?? Yes you can upgrade to 2.1... me too staying in Riyadh and upgraded to 2.1 with sameers guide..
Reflash and choose proper options mentioned by sameer in his guide.. it should work..
Any idea about Android 2.2 update for Samsung Galaxy Spica...? Any idea of Android 2.2 update for samsung galaxy spica....? No further official update 2.2 for Galaxy i5700 due to hardware restriction. Hardware is not supported on 2.2 froyo. Hi guys need some advise I successfully upgrade my phone to dxjc4 firmware I'm having problem with the sounds and display setting I can't get rid the audible sound in key pad and it also vibrate. Can anyone experience this problem? I have followed all instructions but when phone resets I get a box with arrow possibly meaning unpacking on my phone screen then I get a phone with a exclimation mark and triangle next to it no pc on screen. I have tried severally to install the drivers for the usb but cannot connect............ When i check the device manager, it written Other Device - Samsung_Android........ I'm usng Windows 7 32-bit. Flash to other firmware version it will solve your problem. Reflash to DDJB2 firmware and u will get through it. First install samsung pc suit on your laptop and then connect your phone to it, it should get detected. Once it appeares in device manager then flash to required firmware. Thanks, what else to say :) Well at least to advise people not to use Samsung Kies, Kies mini or New PC Studio for updating because it just doesn't work... Btw I used I570EXXJD1 firmware and it works fine. Thanks again, you made my Spica more interesting! Thank you so much, the hardest part was to install the drivers. I am using Windows 7, so the OS automatically installed drivers, i opened device manager and the two Samsung devices were shown properly. After that i unplugged the USB cable and plugged it again. The second time it showed me that the device is unknown... I took out the battery and put the phone in Download Mode, again. Now the devices were shown properly, so i instantly opened Odin application and everything went fine. So i guess if you have Windows 7 don't unplug the phone after it installs the drivers, just open Odin. All the divers seemed to install correctly. Thanks for the guide, I used it to root my phone some 6 months ago. Recently, I am having a problem. when I connect the phone using USB, the notification icon is not connecting. I have all the drivers installed, but the computers(already tried on 4-5 pcs and laptops) simply dont recognise the phone is connected. I even tried to attach the USB in the download mode, hoping to install android 2.2 but the phone is still not recognized. 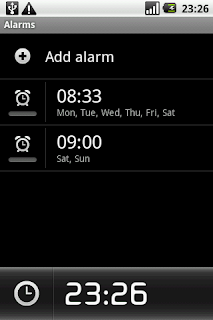 it stop here..but the clock it`s still worcking,please,what its wrong? Why do all my downloads fail with Eclair? Everytime I install an app, they say download unsuccessful after a few seconds. Why do my downloads of Eclair fail? They always say download unsuccessful after I attempt to download a new app. Thanks for your step by step procedures.... i have installed Eclair on my Spica and its working very well from past 2 months... however some times i have to reboot to get my GPRS working... when i go to my APN settings i see balnk, when i try to type it manually at times it works... but most of the times it does not. Is there a proper solution for this one? I followed your flash guiding and it’s worked. And my Spica was updated to Eclair. And all data such as SMS, contact, and account are lost. And, when I start my Spica the download mode is raise up before booting. I use I570EDXJC4 firmware and new .ops file as recommended. Hey thanks for the Guide I managed to Flash the phone a few times except each time the market seems to be broken and after I re insert my sd card I can't download any new apps any suggestions? Hey, I guess I am way behind. But maybe you or any one else an Assist me. And every time I am restarting it the Bar is getting filled, finish and then the Phone is stuck. Did you, or any one came across with this one? Does any one has any Idea how to solve that? <1> e - dll cannot setup connection with the target. I did as you have explained, but I got this error msg in the odin saying..
i have updated my software as described in the blog. phone automatically restarted after installation and got strucked at samsung logo and not coming up. Hey Sameer. I would like to know if this quide is good for the sister model the Behold 2 T939UVJA3 running Android 1.5. If it is that would be great. Im also having trouble with accessing the Download mode the way listed here. If there is any difference in the process please let me know. Thank you. Thanks Sameer for such a nice post. 1. Ask for your service provider for the APN Settings (if you are able to save it if not got to step 2). 4. remove and insert the SIM again. 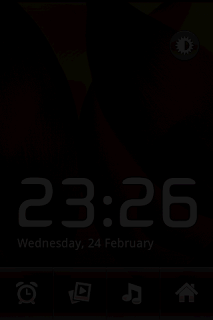 With this your APN widget will also work well. (I am not able to save as my OS doesnt support and i think it will be same in your case). 3. shutdown , remove and insert your SIM card again. Please help me in my this problem...please tell me file which contain all the files but having low memory...or any other way....!!!!! i am glad to visit this blog cause my doubts are cleared. Excellent comments. thanks for all. Special Thanks to Admin. I have a question: Wi-Fi, Bluetooth, GPS, stone ring will function normally? i cant access the download mode plzzz help me plzz!!!! Hi Sameer .. this works like a charm .. .im curious to know is tere a guide for a stable froyo for spica ? do you have any updates to the "DD" firmwares..i am from india! I had a weird problem. When I tried to reset my phone to factory defaults I kept seeing the "com.android.phone has stopped unexpectedly" error message. I tried a lot of things but in vain. I then disabled the screen pattern lock and I was able to reset the phone. Thought I would share this for people facing similar issues.